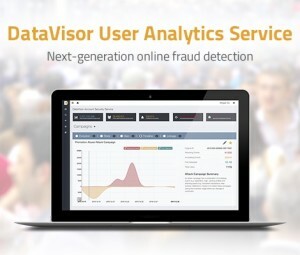 MOUNTAIN VIEW, CA–(March 7, 2016) – DataVisor today announced the general availability of the DataVisor User Analytics Service, a solution that catches fraudulent user accounts at incubation stages for consumer-facing online services. The new fraud detection software offering is powered by DataVisor’s unique unsupervised big data analytics that discovers new, unknown attacks in the wild without relying on any prior knowledge of attacks. DataVisor fraud detection software takes a new approach is drastically different from existing online fraud solutions that use rules or trained machine learning models to examine events or users individually. Such traditional solutions all suffer a serious limitation in that they rely on examples of known attack patterns, which are often difficult to obtain in a timely fashion and can only detect fraud reactively when an attack is already under way. “User acquisition is the epicenter of most mobile game companies, yet a sizable number of installs may be fraudulent. Fortunately, DataVisor provides microscopic visibility into user behaviors to catch fraudulent users, ensuring healthy mobile marketing campaigns and maximizing our ROI on mobile spends,” said Mark Zhang, CTO and senior vice president at IGG. DataVisor’s unsupervised fraud detection software redefines the security landscape by enabling companies to proactively discover threats hiding within their online services. DataVisor will be giving demonstrations of the DataVisor User Analytics Service in Booth #229 at MRC, Las Vegas, on March 7-10, 2016. For additional information on DataVisor, or to request a security assessment today, please visit www.datavisor.com. DataVisor is a leading online fraud detection service utilizing unsupervised big data analytics to identify attack campaigns before they conduct any damage to consumer-facing online services. DataVisor protects some of the largest online properties in the world from cyber attackers. The company is founded by the world’s experts in Internet security and is backed by NEA, the largest venture capital firm by assets under management, and GSR, a venture capital firm that specializes in disruptive technologies serving global markets.